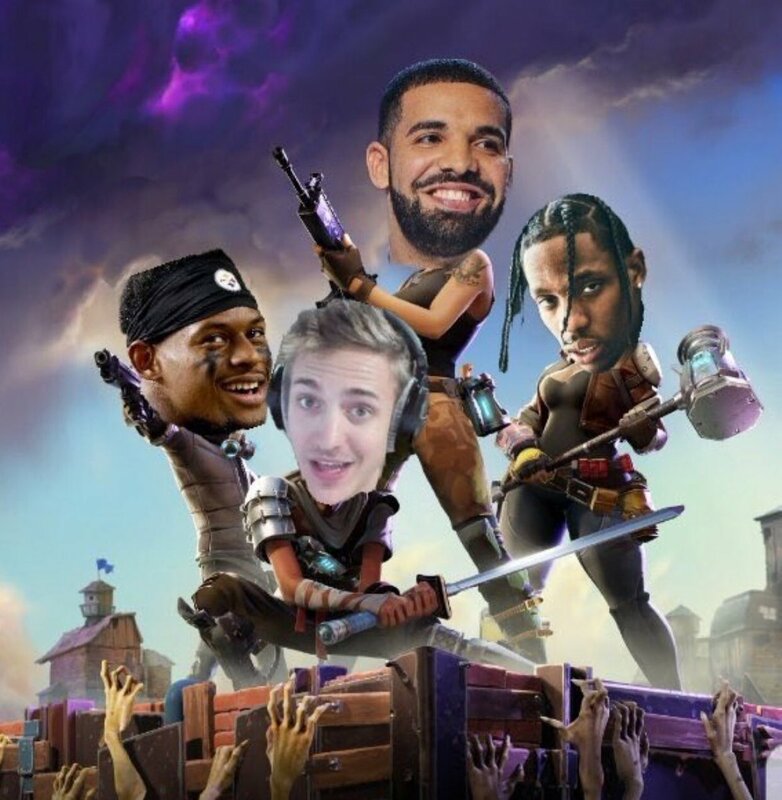 Earlier this month saw Drake follow both Fortnite and Twitch streamer Ninja on Instagram, but now he’s taking things to the next level. Last night, the 6 God linked up with Tyler “Ninja” Blevins for a gaming session, which they live streamed to the rest of the world. Not only that, but Travis Scott, and Pittsburgh Steelers wide receiver, JuJu Smith-Schuster, filled up the rest of the squad. Drizzy played as TheBoyDuddus, Trav played as cactus_jackk92 and JuJu played as FaZeJuJu_19, with the stream racking up a record 600,000 viewers at the same time. Drake even called out Logic for a game at one point, and Bobby responded. JuJu also said the session was better than scoring a touchdown.